I love the coordinated colours. 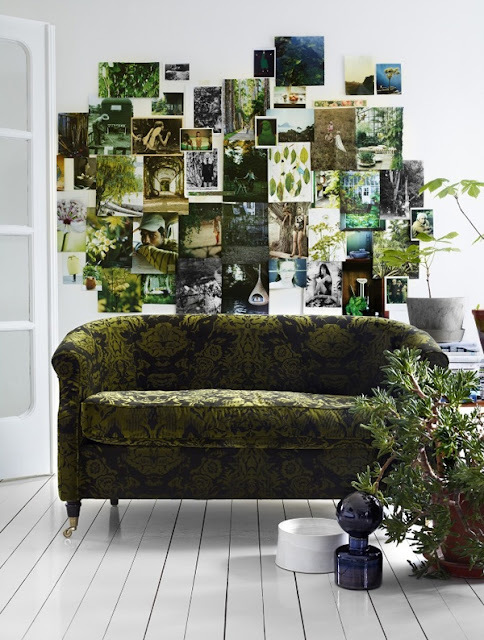 It looks like an inspiration board in your living room. 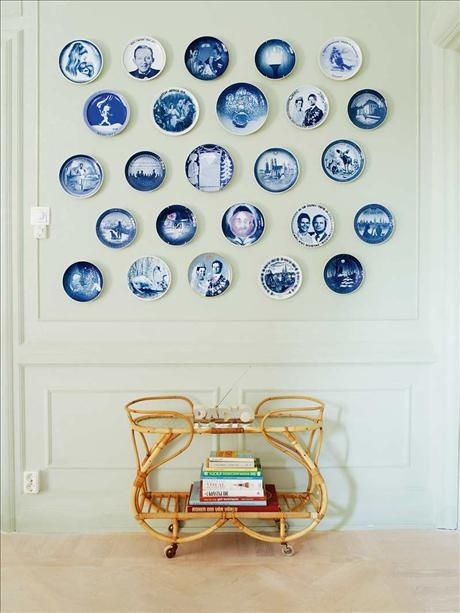 The plates are gorgeous. Again, I love the coordinated colours and the pale green wall behind it. 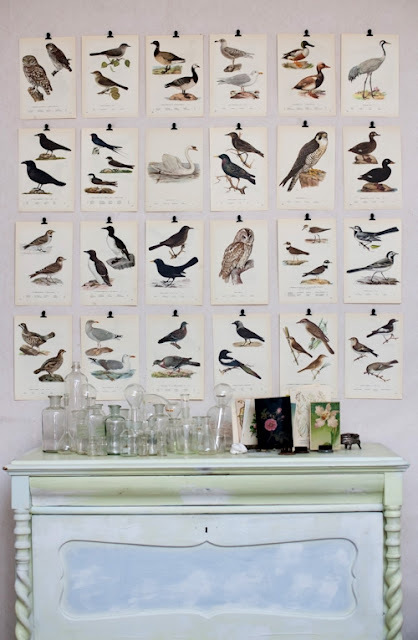 What better way to display vintage bookplates?